I was talking to a Producer and Director recently who is starting out his business. He’s got his business set up, and is seeking investors for a film. He’s got the script. He’s ready to go. Except, the investors want him to slow down. The investors wanted to “de-risk” the investment. New to being an entrepreneur, the Producer shared the nuances he wasn’t quite prepared for. Expected Returns – SaaStr states that a 10% return on the totalventure capital (VC) fund is good while aiming to earn its total VC fund in profits is the goal. Understand what the goals of the investor(s) are, and have the model to illustrate goals can be met with even conservative achievement. Legal Collateral– The Producer was shocked to learn how much he had to spend to validate the authenticity and originality of the script. Investors are looking at legal terms and insurance to not only cover risks of copyright infringement, but also the leveragability for greater valuation. Long-Term Strategy – Are you a one-hit wonder? Do you have the creativity to be adaptable? Are you thinking big? Focusing on the now is good, but investors are looking for big returns. Long-term value creation enables bigger returns. Traction– One of the “shticks” about Atlanta investment is how stingy investors can be. In the Valley, ideas can be funded pre-revenue. In Atlanta, the companies that garner investment are largely post-revenue. For the Producer, he had to collect and display written interest from film festivals. On “Shark Tank”, entrepreneurs can show letters of intent or purchase orders (POs). Business Plan – The Producer lamented the pain of creating a business plan. Having never done one before and without a business degree, he sought help from others. However, many could not show him “good” plans. Business plans can be rare outside of startups seeking investment. However, they can be immensely helpful in thinking about the business holistically, not just about this “great app idea”. The business plan forces the entrepreneur to think of the risks and the opportunities – sometimes, it can show the opportunity isn’t as big as he might think. I share these, too, because I’ve heard a lot of ideas from wantrepreneurs. Then, there are others who start out, and then fold up shop only months later. They weren’t prepared. Most investors are savvy as they should be with their money. So, it’s no surprise what some common de-risk factors included, and how important wantrepreneurs and new entrepreneurs should consider when starting out. 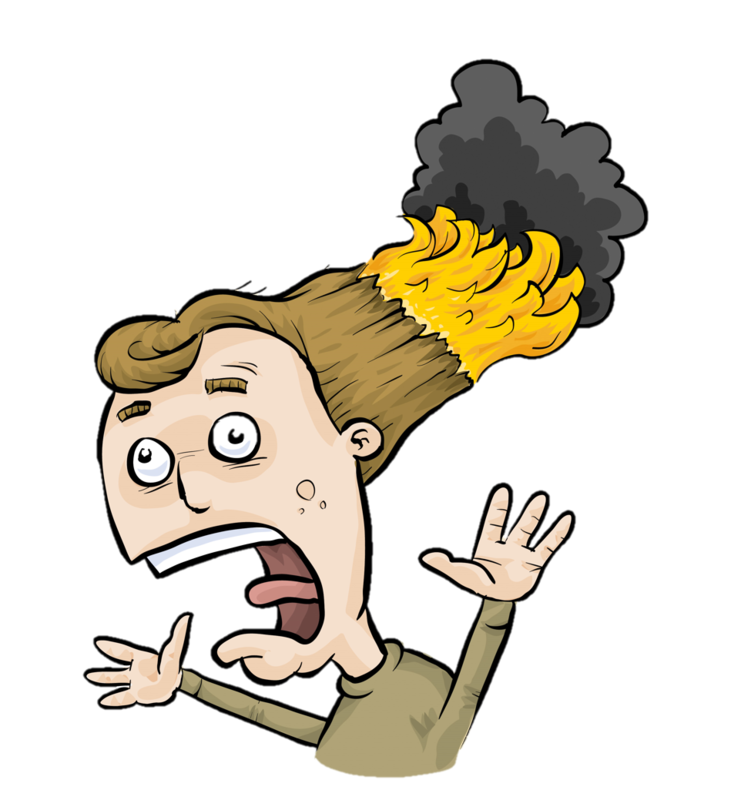 Is Your Customer’s Hair on Fire? When considering an idea for a startup, I’ve referenced a question people often use: “are you selling a painkiller or a vitamin?” The notion is people “need” a painkiller before they need a vitamin (“nice to have”). Are there enough people with their hair on fire? Read: What is the size of the market? Is it large enough for big returns? Does the market have the desire to put out the fire? Read: Is there enough benefit for customers to make a change and adopt your product/ service? Are you mitigating risk for customers? What other key questions should there be when considering “hair on fire”? How could you evaluate if a need is latent vs. active? How could you convert to active, if latent? http://www.daryllu.com/wp-content/uploads/2018/10/entrepreneurial-ninja_logo_sm.png 0 0 Daryl Lu http://www.daryllu.com/wp-content/uploads/2018/10/entrepreneurial-ninja_logo_sm.png Daryl Lu2015-09-17 13:55:002015-09-17 13:55:00Is Your Customer’s Hair on Fire? I had a great conversation last week with a managing director of a local venture capital firm, and he brought up a few points that struck me. I’ll share them over the next few posts. The first point he shared was a story about “getting yes, and getting out”. In one particular meeting where with a local large company, the venture firm had the main objective of getting a key executive to agree to meet one of the firm’s portfolio companies. The meeting was scheduled for an hour, except about 20 minutes in, the large company’s exec agreed to meet with the portfolio company. Almost immediately, the lead investor of the VC firm got up to leave. The partners reached their objective. Anything after the objective could have actually hurt the meeting or turned that definitive YES to a maybe or worse. In most cases, this makes perfect sense. I find that I can be wordy and after reaching some initial objective enthusiasm can turn into lethargy or dilute the achievement. For the VCs, the goal was to spark a conversation, and let the portfolio company take it from there. Of course, the VCs have enough experience to gauge whether or not they have to stay longer or not. Get the yes, and move on. Don’t complicate matters. What would be a situation where getting the yes simply isn’t enough? How could being “too objective” be a negative?